It is not as simple as that . With the debts from previous years basically cleared it has got us back in the black again . However rising operational costs and a stadium in need of some maintenance soon gobbles into any spare cash. Good thing is that we are starting the season from a far better financial position than years previously. As Hedgie says plus security ( stewarding ) cost s a whack every week . ( forgive the pun ). Plus they are disappointed about Dunfermline and Dundee Utd games being mid week that cost club a good few thousands . Plus players wages jumped up . But we re far better off than we would ve been I guess. You won t find me arguing with that statement. In fact the signings were worse in some cases than guys who won promotion . See no problem with season ticket prices, in fact they are cheap. Admission prices like others have said is in line with similar teams. Ideally it would be cheaper but just the way things are going. Surely there was only a modest increase in the wages last season?! After all there was no win bonuses paid out which will have surely saved a bit of dosh. Doubt the wage structure would have included considerable bonuses anyway given how few wins we were likely to get. New season,new start for Dodds.I'm going to try and be positive for once,happy with the players signed so far let's hope for another few good signings.I will give Dodds about 10 games if no improvement then surely he should go or be sacked. Spelling his surname correctly would probably be a good start. Don’t want to b on the downward thinking but Dods shouldn’t be in a job on saying that he is and we need to back him.now it will be up to Ken n co to deal with it appropriately. Plus they are disappointed about Dunfermline and Dundee Utd games being mid week that cost club a good few thousands . But a major bonus when the last game against St Mirren was a potential league winner for them. That more than offset any reduction in numbers against Dunfy or Arabs. Not much happening at all . No much motivation to buy season tickets . 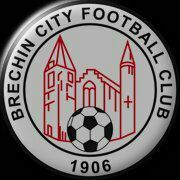 Heard on Friday night Brechin City not sending any representative to City youth s gala day next week end .That s the side of the club that I find poor.